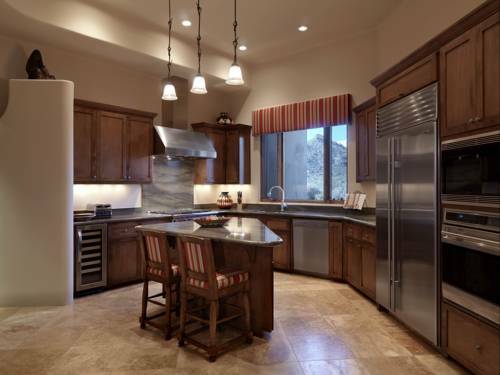 Troon North Golf Club, North Scottsdale's crown jewel features the Monument and Pinnacle courses that gracefully wrap around the northern slopes of landmark Pinnacle Peak. 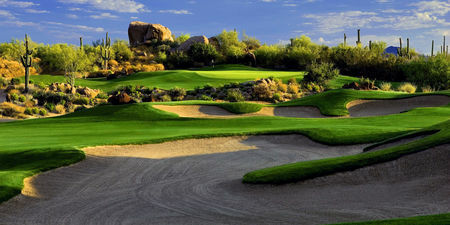 Giant granite boulders lie strewn across the rugged landscape of the High Sonoran Desert in Scottsdale, Arizona, where Troon North Golf Club combines the visual sensation of desert landscape with challenging golf play and a special ambiance to provide a standard that is unmatched in all of Arizona. 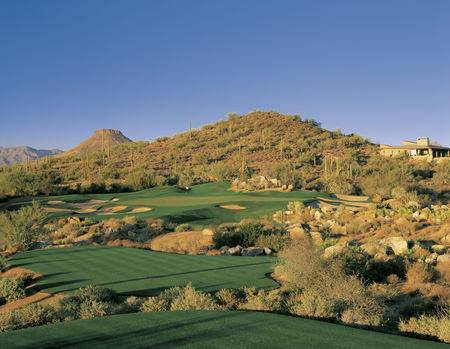 Troon North's Monument and Pinnacle courses consistently rank at the top of every golfer's must-play list. 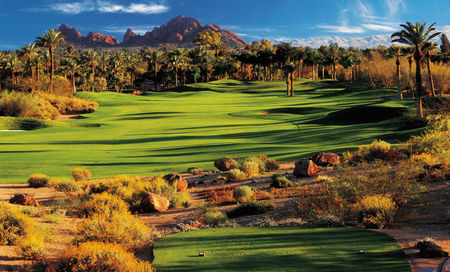 Cherish the ultimate Scottsdale golf experience at the world-class Troon North Golf Club. 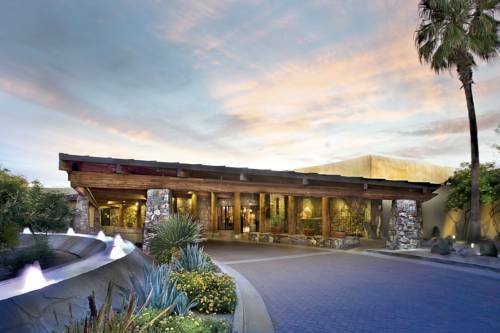 Located in the golf mecca of the Southwest, these two North Scottsdale golf courses in sunny Arizona offers golf connoisseurs the best luxury golf experience. Pure. Desert. Classic. We went to golf school at Troon - excellent and won the club championship following. Desert course with all the challenges but very playable. Excellent condition and we thoroughly enjoyed. 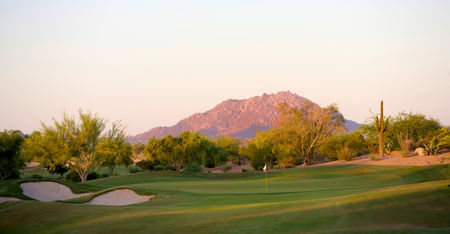 Great place to enjoy typical az golf at. 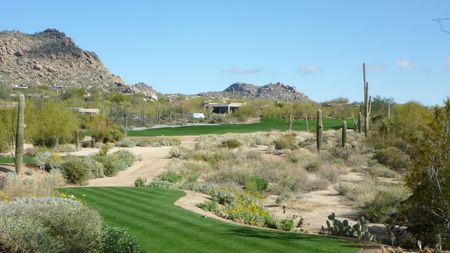 Excellent desert layout, very forgiving fairways and large greens. Always in exceptional condition.